My company has been working for 35 years as machinery maker in printing industry. We especially make something "Before/After" printing solution from design to maintenance. We will show 3D scanner, roll coater, roll cutter and hot stamping machine this time. Please let me know anything you are interested in. 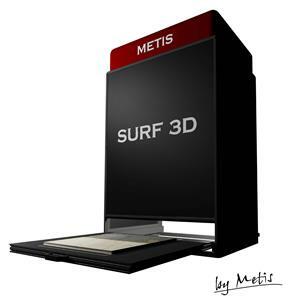 2.5D scanner (color + 3D) "METIS SURF 3D"
This special scanner is suitable for taking a data such as a leather or wood texture. It is not taking only image,always 2.5D(3D) data is also possible to take. We will show the small model named SURF 3D (1 shot: A2 size scan max). 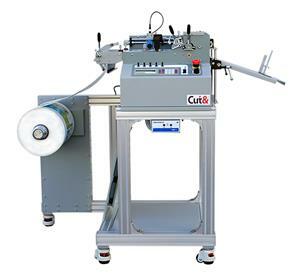 Roll coater (UV,IR,Corona,Die cut) "TRC-350B"
Roll to Roll Coater for papers or films (UV, IR, Corona, Diecut is possible). 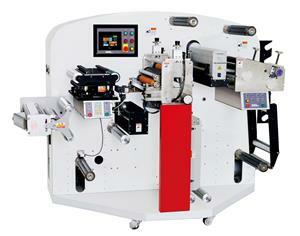 Semi auto hot stamping machine "Master Press EMD"
Compact and user friendly Hot stamping machine. Even it is small, possible to press 5t with 190 degrees temp maximum. It is very useful for any materials in any environment. 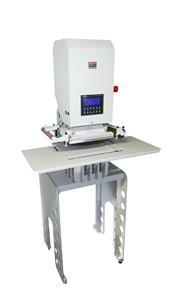 Roll to Sheet cutter "AR-350NK"
The roll cutter for films and papers. We can choose the length cut or sensor cut mode. As the option, slitting or conveyor stacking is possible. *The following information is provided to enable inquiries to exhibitors. Unauthorized use and reproduction for any other purpose is prohibited. Register for the Business Matching System to check contact details of companies you are interested in and make appointments to meet with them during the exhibition!